Home / Arts and Culture / Jazz at the Creek Pre-Party! 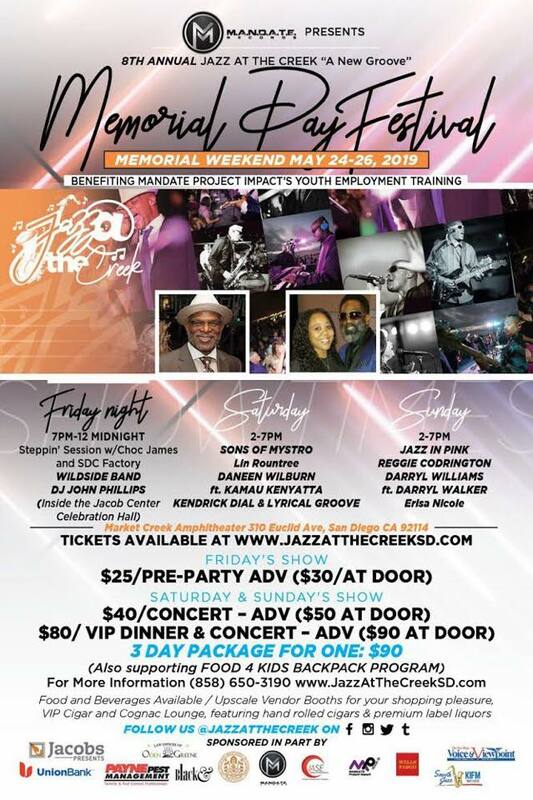 Don’t miss out on music, dancing and good times at the 8th Annual Jazz at the Creek Festival! Join The Wildside Band on Friday, May 24 from 7-9 p.m. for the pre-party kickoff event at the Joe and Vi Jacobs Center Celebration Hall. Enjoy featured entertainment from The Wildside Band along with a Steppin’ Session with James Choc from the Chocolate Factory and DJ John Phillips. Purchase general admission tickets in advance for $25, or at the door for $30. Save $5 on each ticket for a group of 10 tickets. The event will benefit Mandate Project Impact’s Youth Employment Training Program.